Patent agent and author Kevin Prince is hosting a great Kickstarter Campaign – producing a set of playing carts highlighting amazing patent illustrations from the past 220 years. 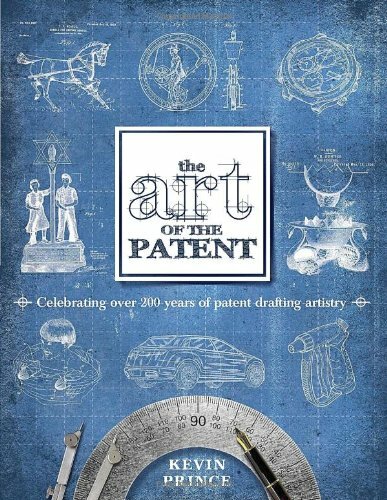 The cards are a follow-up to his coffee-table book The Art of the Patent. Join the Kickstarter Campaign here. Gives a new meaning to “The Art of the Deal”. What will the Jokers or Wild Cards look like? Alice and an IPR petition? far, far better than those truly inane cartoons. I should probably know this, but are there copyright interests in patent drawings? Does the author of this book have the right to do this without permission from the patent owner? I thought the owner had to give up copyright to drawings and illustrations used in patents. Also wouldn’t it be more apt to produce a set of playing cards based on drawings and illustrations from patents that have been invalidated by the USPTO and whose inventions the USPTO has effectively stolen and handed over to infringers? I expect that the flow charts do not reproduce well when shrunk down to fit on a playing card. Don’t assume USPTO theft of invention is confined to software. Check out the crap that the USPTO is pulling with respect to Bunch O Balloons.